Properties in Harwood Museum of Art average 4.7 out of 5 stars. Property 40: Welcoming, Comfortable Angel Fire Home with Two Master Bedrooms! 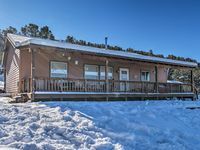 Cozy Cabin on 9 Acres - 7 Mi to Angel Fire Resort! 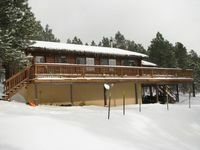 Property 46: Cozy Cabin on 9 Acres - 7 Mi to Angel Fire Resort! Property 47: Chalet cabin, 4 bedrooms, near golf course , 5 minutes to ski area. Property 49: NEW! Cozy Ski Cabin w/ Deck Near Taos Ski Valley!